Can't make balloon animals? No problem. 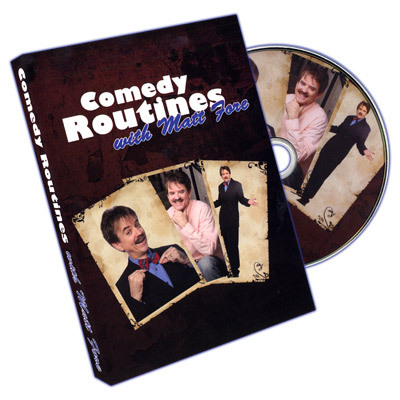 Ditch the poodle and the puppy dog and let's try something even more fun - and amazing! Make a snake - and eat it! 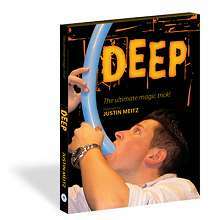 Master the art of balloon swallowing like never before. From the critically acclaimed author of The Amazing Alexander series comes DEEP. Imagine taking a 5 foot long inflated balloon, handing it out for inspection, then swallowing 16 inches of it - and then letting your spectator pull it back out. Then swallow the rest of the balloon and watch your spectators gasp! With studio shots and live performances of 4 different routines, you will learn together with magic student Daniel as Justin teaches him - and you - every twist, turn, trick and technique of this incredible effect.